Here’s an interesting beverage innovation out of Spain, with the launch of Refix, a range of functional waters made with 20% seawater. The brand’s creators say this is an innovative new addition to the recovery drinks category. Made with high-quality, Galician (north-west Spain) ingredients, Refix claims that their water is the only recovery product with no added sugar or preservatives, using its all-natural philosophy to market to consumers who seek a recovery drink with no additives. Raul Anta, CEO of Refix, said: ‘We use seawater because this has the same mineral salts found in our blood, but in a high concentration. We mix one part of seawater with four parts of spring water, in order to get the same concentration of mineral salts that the human body has. “Our drink is the best option to eliminate hangovers produced by alcohol because when you drink alcohol, you are eliminating it through your lungs (that’s the reason you have to blow in an alcohol test). “On the other hand, a lot of water is being eliminated by urine, and urine has a lot of mineral salts (9 grams/litre of mineral salts). 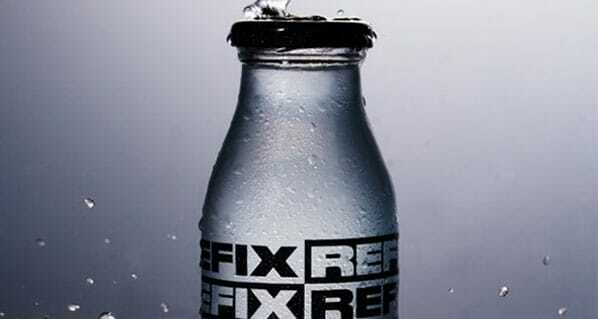 Refix also contains lemon, as the brand says this ingredient alkalises pH levels in the body. Including lemons also gives the product anti-bacterial and anti-viral properties. The combination of functionality and clean label makes this product attractive to health-aware consumers.